I am on the island of Hawai‘i, staying close to Nīnole beach and valley where ‘Ōpūkaha‘ia lived until about age 10. 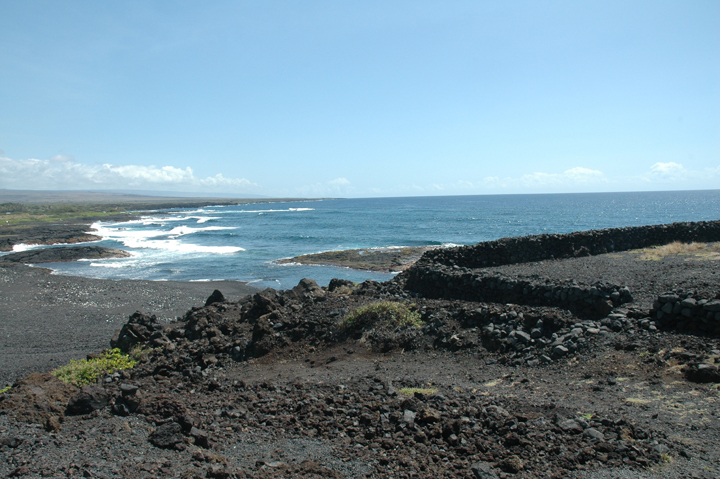 Here ‘Ōpūkaha‘ia swam and played as a child, his father caught fish for his family. Watching local families swim at nearby Punalu‘u Beach gives you a sense of what life was like for ‘Ōpūkaha‘ia as a child. Archaeology reports show there was intense fishing in this area. In 1868 a major earthquake subsided the coast here and drove huge tsunami waves onshore altering the coves and ponds that ‘Ōpūkaha‘ia knew as a child. Here is a photo of Nīnole Beach (top photo) as viewed from the Ka‘ie‘ie fishing heiau overlooking Nīnole Beach. 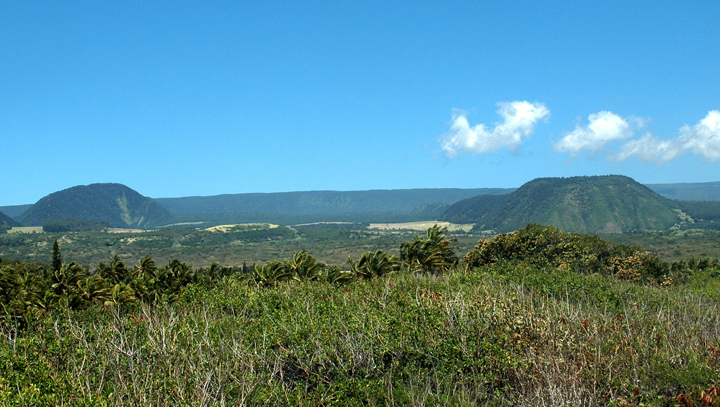 The flank of Mauna Loa looms to the north in the distance. And a view looking mauka (bottom photo) to the landmark tabletop mountains; below these mountains villagers tended taro lo‘i and grew other edible plants.